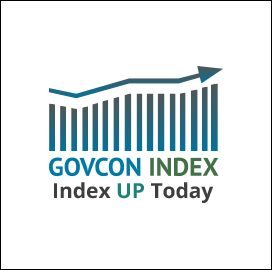 The Executive Mosaic GovCon Index (GCI) continued its strong performance gaining 1.144 percent to set a new high of 108.47 with advancing shares outpacing declining 28 to 2. The markets started off the fourth quarter on a strong note with all three major indices reaching new record highs. The S&P500 was up 0.39 percent to 2,529.12, while the DJIA closed at 22,557.60 a positive 0.68 percent, and the NASDAQ Composite advanced 0.32 percent to close at 6,516.72. WTI crude oil on the NY Mercantile Exchange spent the day in the negative, turning upward in the second half of the day but not enough to break into positive territory. WTI closed down 2.19 percent to $50.54 per barrel.